Gov. 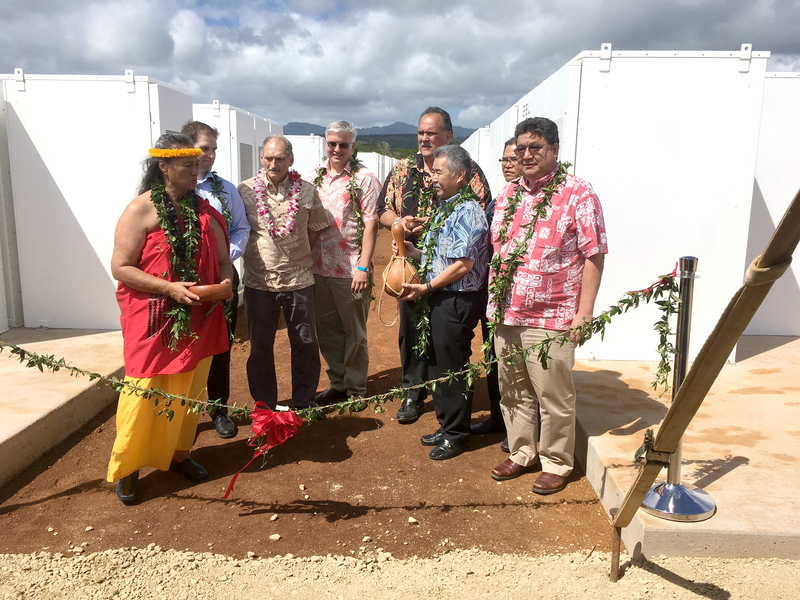 Ige, Mayor Bernard Carvalho and Senate President Ron Kouchi gather with Tesla and KIUC officials at the blessing of a new Kaua’i solar farm. A Kaua‘i solar farm project that uses Tesla batteries to store enough power to serve 4,500 homes during peak night hours is helping the state reach its goal of having 100 percent of its electricity come from renewable energy sources by 2045. The Kauai Island Utility Cooperative project, working with SolarCity and Tesla Energy, is believed to be the nation’s first utility-scale system that can provide electricity from solar energy on demand — even at night.